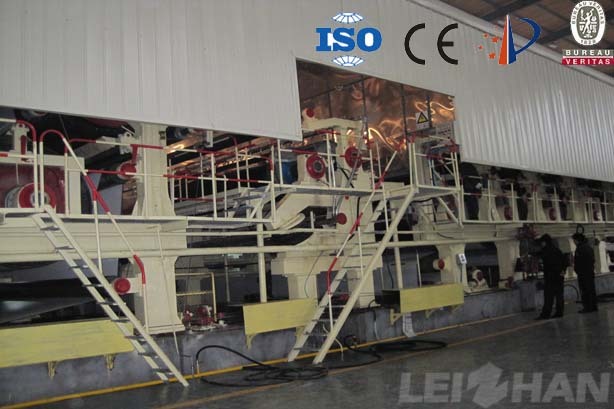 Drying section paper disease is generally water droplets, dry-screen printing, due to defects in the dry wire caused the defects of the paper strip, sizing machine caused by the discount and ribs. So what should pay attention in the operation to avoid these problems? 1. Paper evaporation of the water to be promptly ruled out, otherwise it will condense water droplets. Black droplets and dry screen printing are related to this. 2. BM2 single wire, due to improper wet chemical often stick some debris, will result in defects in the surface of the paper caused coating tape; without doctor blade dryer surface sometimes sticky foreign body; Sometimes after the paper leading the dryer doctor blade will left a large piece of paper, these pieces of paper will also scratch the paper. 3. Polyester dry wire has a certain service life, to be replaced on a regular basis, otherwise the aging of the dry wire will affect the operation of the paper machine, the same is a consumable product is also a fragile product, in dealing with dryer wrapping paper and other events pay attention to the protection of dry wire, damaged dry wire also have the possibility of destroying the paper. 4. Hard calender light caution: the most common paper disease of hard calendering is indentation, but this indentation is often manifested in the soft calender, he will cause soft calender top roll or the bottom roll with material , If the Hard calendering has problem with the roller surface, for example, the difference in the diameter of the roller will also be reflected in the deviation of the thickness of the sheet.